There are currently 10 users and 4239 guests online. anyone use tasline? Any thoughts/comments would be appreciated. Currently running ocea braid on my other reels. Keep Laughing and fish often. Put some 50lb on my Fin-Nor Marquesa 30T for billfish. Very fine for nominal BS, and the spool even states average BS 78lb or so. Caught a few good fish to 60kg or so, no issues.Not cheap, but worth the money, IMHO. Contrast this to some Shimano Powerpro Depth Hunter 30lb I put on earlier this year--really only used for a month at Ningaloo, and then mostly sitting in the rod holder as 30lb jig gear doesn't really cut it up there. Went to use it for the Billfish Bonanza at Exmouth recently, tied a 10kg topshot on, tested ,found it breaking at 3kg. Kept pulling line off the spool until I got it down to where the line probably hadn't been in the water, and it was breaking at just over 6kg. always looking for a new challenge!! On recommendation from a trusted fishing mate, I purchased 750m of 50lb a couple of months ago from Busted Fishing and gave it a good go at the Montebello Islands early October. I used it on a spinning outfit (slow jigging) and my bottom bouncing overhead and was very impressed. The 50lb was advertised as 0.332mm thick and with an actual breaking strain of 78.5lb. When I tested it at home, the 50lb was breaking on my knots at about 40lb. So nothing like the results I used to see with my old fireline which would break well above the advertised breaking strain ... BUT, the line is ridiculously thin and my vernier calipers returned numbers of 0.16-0.27mm (my min max measurements). At the same time I tested some cheaper J Braid 4 strand 40lb which was breaking on my knots at about 33lb and thickness of 0.21-0.36mm. Besides my measured stats, the line is very soft and cotton like and ties very well when attempting more difficult knots (like a bimini or FG knot). On one of my slow jigging drops, with a 100lb Flourocarbon leader, I got sharked, so rather than waste everyones time fighting the beast, I tied off the Tasline braid to break off. Ended up getting my 240g metal flutter jig back with a 45degree bend in the metal and the 5/0 assist hook straightened. i have power pro on most reels but have tasline 80lb on my boat overhead. it is the best. Tried it a couple of years ago and I love it. As others have said - nice and 'ropey' which helps with tieing knots but very supple so you get a great casting distance. Had some PE5 put on my saltiga z30 and fished with a locked drag when i was getting sharked and it wouldn't break - strong stuff. Tasline is great for casting due to its limpness but I think you'll find the ropey aspect of it will work against you while jigging as the water/tide will affect it more. The ability of a line to cut through the water is almost entirely a function of its frontal area. I cant see the ropeyness affecting it, but its diameter and flatness I can (which tasline beats all). 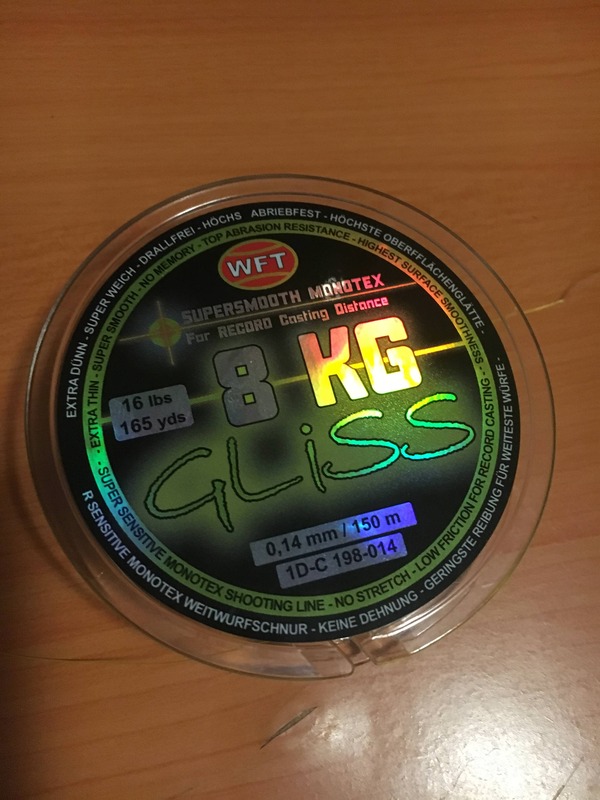 I was going to get some Tasline for my baitcaster to fish for PNG blackbass but saw some consistent -ve reviews at a FB group so thought I would steer clear. Essentially teh line has to have reasonable abrasion resistance since I will be using it for snag bashing. The FB group used the line predominantly for popping & stickbaiting for GTs. It is definitely surprising to see good reviews here. It is hands down the best abrasion resistance of any braid out of all the known big brands I've used. The only negative to it is that it doesn't like being shock loaded hence why it has a thickness rating not only a breaking strain rating. Shock load can only really be overcome by using thicker braid. Sorry to piggyback this thread, but what are some of you guys thoughts on j braid? It seems awfully thin. So what braid are guys using to slow jig with? Any other recommendations. Several braid makers claim to have an ultra smooth coating or finish on their line to reduce water penetration and resistance. I can understand that logic to a certain point, but for me, when choosing braid, my major considerations will be actual breaking strain (at the knot) and the diameter of the line. If I have a choice between two braids of equal braking strain and one has a diameter of 0.2mm and the other is 0.3mm but has some well marketed ultra smooth coating, then I will still go the smaller diameter every time. The best way to reduce water resistance is by reducing the thickness of the line, by far. If you believe that this new ultra smooth coating marketing makes that much difference, then use mono :). So having said that, if your priority is value for money, then I would suggest the J Braid 4 Strand which you can get for as little as about 13c per metre. If you want a better quality product, then I would suggest the Tasline which is about 23c per metre (50lb if you buy 750m+). I love the Tasline and if anybody truly believes they have a better slow jigging braid, then I want to know what it is so I can go get some and test the actual breaking strain and thickness. (NB: It's difficult comparing braid using the manufacturer's claimed breaking strain and diameter. For example, J Braid x4 40lb claims to be 0.29 in diameter and Tasline 50lb 0.332. But when I received both and tested them with my vernier calipers, the J Braid was at least 0.05mm thicker than the Tasline). Also, some years ago, I believe Tasline was the line of choice that Paulus (of paulusjustfishing fame) preferred and he did thorough testing on all types of braid. I think you will find Paulus designed Tasline, I'm not really after value, I want the best braid for slow jigging. My other problem is my oj 1500 holds 400m of ocea pe2.5 but they only do 300m spools, on the other hand my Stella 6k holds 300m of ocea pe3 but they only sell it in 400m spools, 100m wasted doesn't make sense. Shimano's spool sizes don't make sense to me! At least with tasline you can get bulk spools and they will mark it at intervals to fill your desired spools. I use Tasline for my heavier reels and Sufix for everything else. I've had no issues with either so far. Great casting with both braids. Use backing for your OJ if you can't get the capacity. For our local waters, 300m is more than enough. Just fill teh rest with whatever leftover braind & mono you have till it reaches closer to the level you want. You need the extra capacity to get larger diameter as diameter of the spool affects your line retrieval speed, whichi is important when you are slow jigging. Bumping this for my own question. I switched my baitcaster and my main spin rod to braid a couple of months ago. I've used 3 different kinds since then, a Japanese brand that I don't remember the name of, Berkley FireLine Ultra 8 Carrier 20lb (which I hated) and WFT 8kg Gliss. The Gliss I have loved from the get go, however this morning I was tying a lure onto one of my rods with the Gliss braid and noticed it was starting to fray. I ended up having to cut about 2m off. Obviously fray over time is understandable but this braid had only been on for maybe 1.5-2 weeks. Surely that's not a normal amount of time for it to break down? Also segue, I keep hearing good things about Fireline but the 20lb I have seems to have its own curl to it so is never taut (unless pulling a fish in). It just has waves through it all the way up through the eyes and right to the hook. Is this also normal? EDIT: The fray was found on my baitcaster, as far as I'm aware this fraying hasn't happened on my spin gear but since it was at the tag end which has never been on the reel, it probably couldn't make a difference.